As active competition pilots (F3B, F3F, F3J) with WC and EC-experience we constantly searched for suitable models. But either they didn`t fit all our requirements or they weren?t available at the required time. Since different models were needed for the above named classes our time quota for self-construction was depleted after starting a F3J-model project in teamwork. Due to the fact that multiple model-concepts Modellkonzepte were still in development we needed another way to make these real. Our concept includes the introduction of competition models of the classes F3B, F3F and F3J as well as suitable accessory for competition and dedicated spare time pilots. In doing so our goal is to keep low delivery times! This can be archived, among other things, by a mostly similar colour-design which enables us to keep most models available in stock. Another positive side-effekt thats not just for competition pilots ist the fact that accessory can be delivered fast and at low costs. After cooperation in design and aerodynamic layout on privat made F5B, F3J and F3K-models - the F3B-model Crossfire is the first result of our work among the new structure of AER-O-TEC ! 2007 a new innovative F3J-modell arrives, the ORCA ! 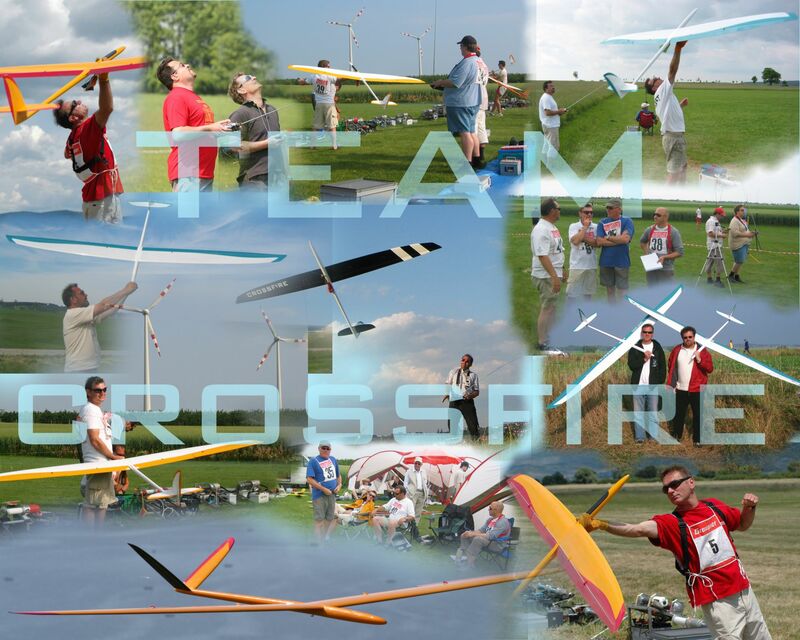 2008 all improved version of WC winning f3b model : Crossfire eVo !